Breaking news like this usually elicits abbreviations like SMH, OMG and my all time favorite WTF. Hold on to your horses Hobokenites, this news is like a bad nightmare but real. This is potentially bad news for Dawn Zimmer, Stan Grossbard, Mayor Ravi Bhalla, the Hoboken taxpayer, but more importantly the HHA residents themselves. Former two term City Councilwoman Beth Mason is back in the game in Hoboken politics with an Appointment to the Hoboken Housing Authority or HHA. This appointment was made by the Governor of NJ Chris Christie and had been vacant for a while but was finally filled by him in his final rounds of appointments before Phil Murphy takes over next week. Beth Mason had served on the Hoboken City Council for two terms from 2007 to 2015 and then stepped down. She was briefly City Council President and ran for Mayor in 2009 twice unsuccessfully. 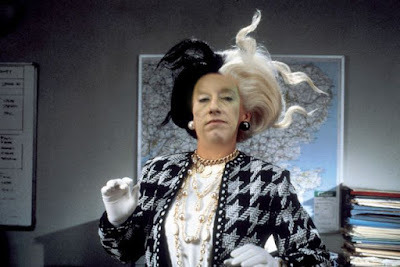 During her tenure she was known for her obstructionism where she nearly sabotaged to HUMC privatization deal, blocked Washington Street revamping in 2013, was involved in a BOE campaign that featured a Nazi truck, was fined by ELEC for numerous reporting violations, threatened to sue private citizens for exercising their First Amendment rights on the dais at City Hall, and helped fund former HHA Executive Director Carmelo Garcia's vitriolic campaign against Jen Giattino in 2015. This is just a sampling of some of her less than stellar work on behalf of Hoboken, err, I mean her attempt at political advancement. Why Did Chris Christie Make the Appointment? We can speculate but we don't know. What I do know is it was not because Beth Mason personally gave to Republicans in NJ. Her entire contribution records from the NJ ELEC site show no actual contributions to Republicans. She confined her contributions to Non-partisan races in Hoboken and elsewhere and contributed only to Democratic candidates in the state. Did Christie want to stick it to Dawn Zimmer who he had a falling out with? Perhaps, but this appointment was part of a large batch of appointments by Chris Christie as shown in the link below. I am not sure if Hoboken is high enough on the departing Governor's radar. 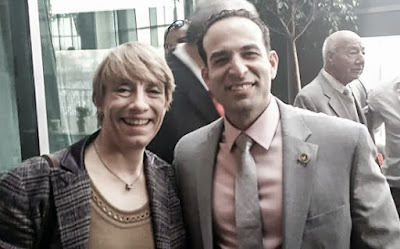 Most likely, Beth Mason lobbied for this position and used her connections to get the appointment irrespective of her Democratic affiliations. More important is how this will effect HHA residents? To be determined. What Will Impact to HHA be with Beth Mason on the Board? Beth Mason has a history of spending a lot of money. It is likely that HHA residents will get free food and other services such as free burials (she actually offered this service years ago) from Beth Mason and that is not necessarily a bad thing. It is possible Beth processed the results of the last fractious Hoboken election and wants to build up a political base to possibly take another shot at elected Hoboken office. If you only need 33% to get elected anyone with a big war chest has a shot. Correct? Based on my experience Beth Mason is not solely doing this for altruistic reasons but is most likely committing her time to get back in the political game in Hoboken. With Beth Mason, any act of charity always has strings attached. as Executive Director and sued potentially getting $700K if HUD approves settlement. The Board on the HHA consists of seven members and two are historically allies of departed HHA Director Carmelo Garcia. With Beth on the Board that makes three and only one more vote would be needed to flip control to a Beth Mason majority. If Beth Mason had such a majority the true nightmare scenario would be Carmelo Garcia not only gets his $700k settlement but is able to get back as Executive Director. We will have to see what happens but the nightmare scenario is a real possibility. Let us hope it does not come to fruition.